Please be quiet when you enjoy the flowers. Jorakuji is Shingon Buddhism temple located in Ota, Gunma Prefecture. 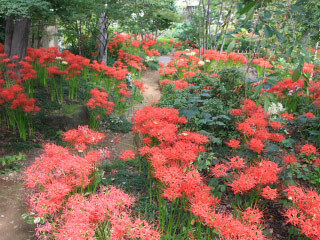 It is well known as the temple of Spider Lily. In the Japanese garden of this temple, the beautiful Spider Lily blooms in the middle of September.